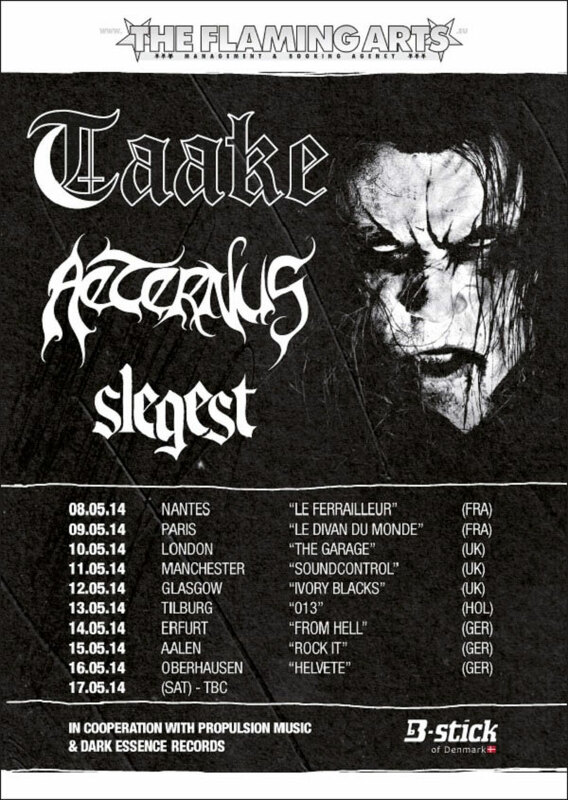 TAAKE, AETERNUS and SLEGEST will tour Europe in May 2014. The three bands from Dark Essence Records will cover France, United Kingdom, Netherlands and Germany, featuring 10 shows. Both Aeternus & Slegest released new albums in 2013, namely …and the Seventh His Soul Detesteth and Løyndom while Taake released the compilation Gravkamre, Kroner og Troner, celebrating its 20 years existence.